Its name originates in the Greek "molybdos", which means "like lead", in clear allusion to its color. Although some argue that it was already known in ancient times, it was only during World War I that its use in steel alloys is made known, being used in replacement of Wolfram (also known as Tungsten) that at that time was scarce, starting its commercial use. Its main characteristics are durability, resistance and ability to withstand aggressive corrosion and high temperatures. Molybdenum is a metal that is used as a raw material to obtain alloys, among which the most resistant steels stand out. About two-thirds of this metal is used for that purpose, known as stainless steel, with contents of up to 6%. The steel alloy is very strong, as it resists high temperatures and pressures, which is why it is used in constructions, to manufacture aircraft parts and forged pieces of automobiles. Molybdenum wire is used in electronic tubes, and metal also serves as an electrode in glass furnaces. Among other uses, there is the super alloy that is obtained based on nickel, to get catalysts that are used in the removal of sulfur in the petroleum industry. 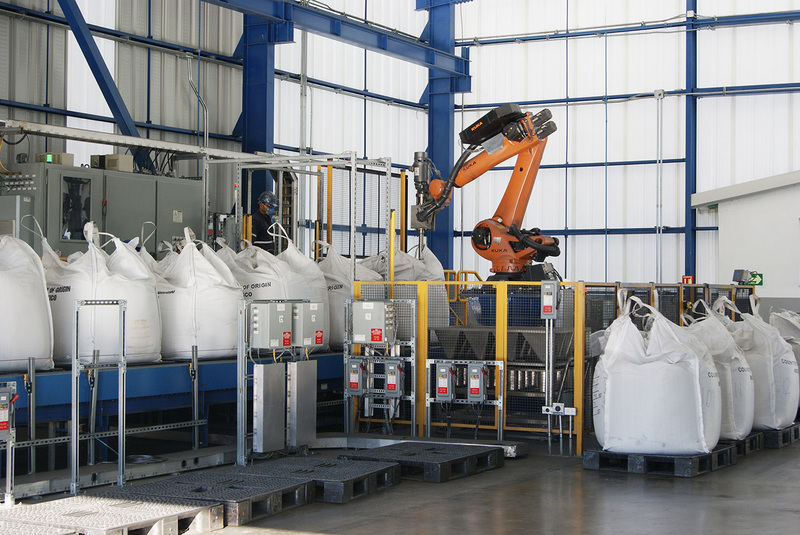 In addition, it is also used in the industrial process of lubricants (molybdenum disulfide is resistant to high temperatures, reduces wear and friction of engine parts, as in automobile brakes), in the manufacture of coatings and solvents, in the chemical industry (pigments for plastics, paints and rubber compounds) and electronics (electrical conductors). Molybdenum is also considered a strategic material and has multiple applications in the aerospace and automotive industry, in surgical tools, as well as being used in the manufacture of ampoules (filament), LCD screens, water treatment and even in the application of laser beams. Obtained by the roasting of molybdenite concentrates. Typical uses: As an alloy in the production of steels and ferromolybdenum. Produced in the following Plants: MolymetNos, Molynor, Molymex y Sadaci. 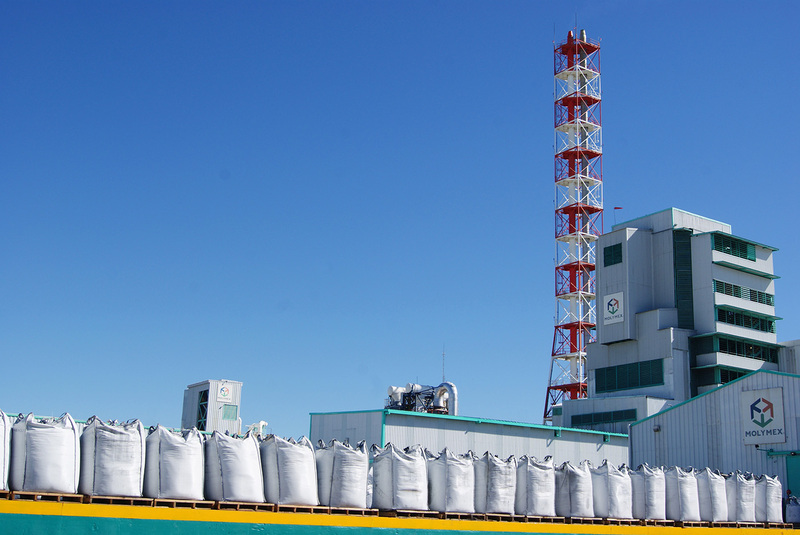 Chemical Specifications:Can be delivered in a wide range of specifications, according to the needs of customers. 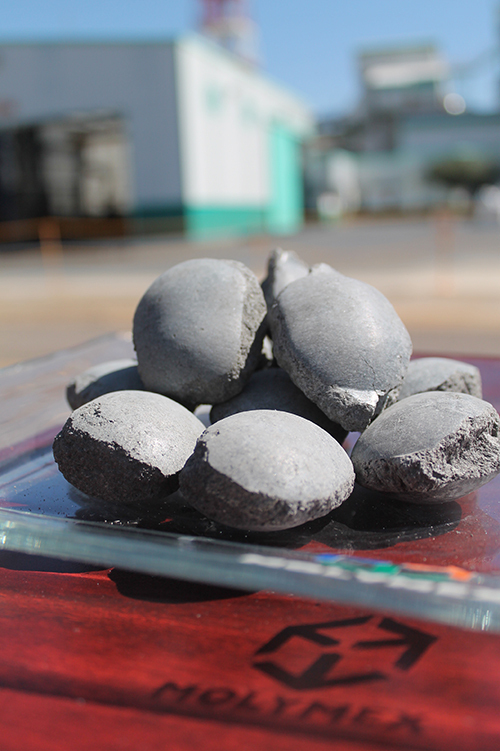 Obtained by the briquetting of roasted molybdenite concentrates. 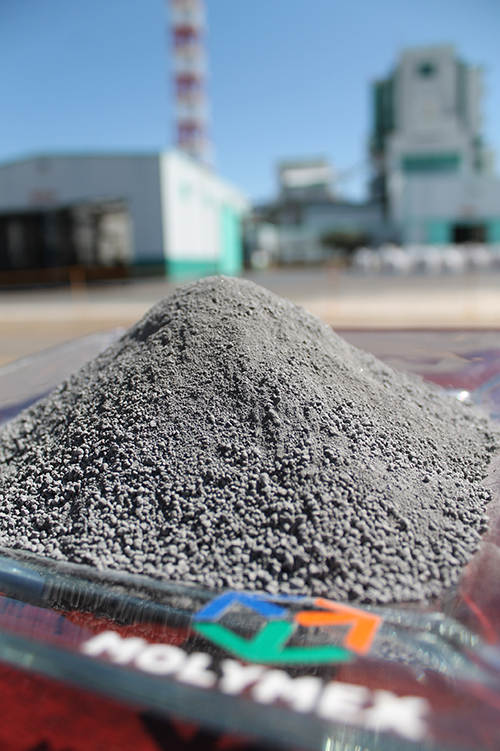 Typical uses: As an additive for the production of steel with higher efficiency than the use of Technical Molybdenum Oxide powder. Produced in the following Plants: MolymetNos, Molymex y Sadaci. 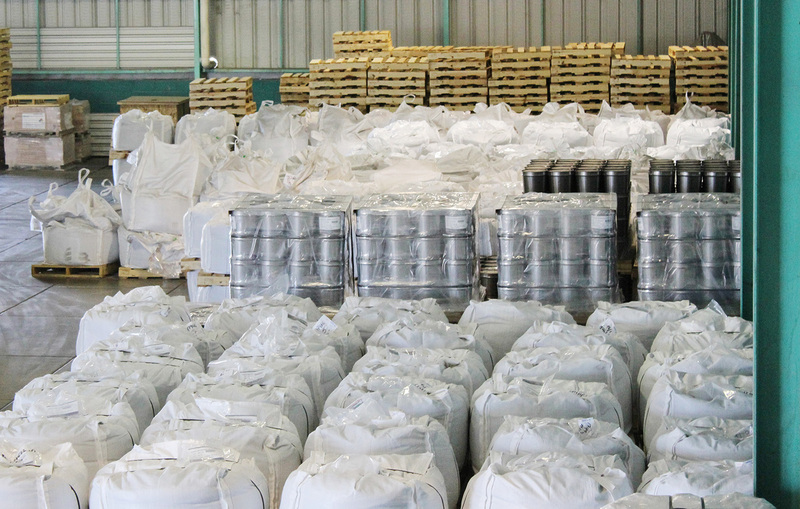 Chemical Specifications: Can be delivered in a wide range of specifications, according to the needs of customers. 50 x 36 x 20 mm aprox. 2.0 x 1.5 x 0.75 inches aprox.